What Is an Appointed Executor of a Will? A person names an executor, also called a personal representative, in her will. When the person dies, her will must be probated. Probate judges generally honor decedents' wishes by formally appointing executors identified in wills. If a person dies without a will, the court chooses someone to administer the decedent's estate. Relatives are usually considered first. However, if none are available, any party the court deems fit may serve. A person must be formally appointed by a probate court to administer a decedent's estate. A party generally nominates a proposed executor in her will. 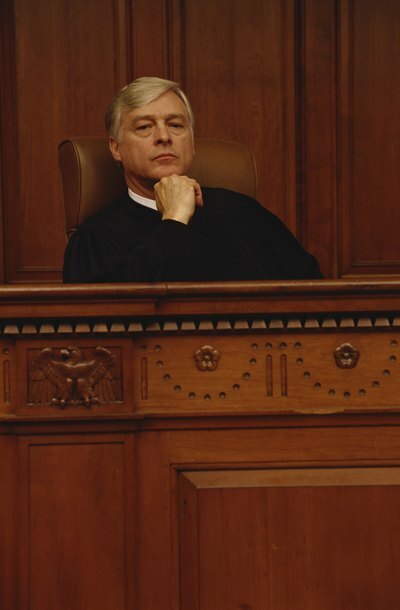 A probate judge then formally appoints the nominee as executor by court order. If the nominated executor is unavailable to serve, the court chooses an alternate executor. Likewise, if a person dies intestate, meaning without a will, the probate judge chooses an intestate administrator. An intestate administrator generally has the same powers and duties as an executor named in a will. A person nominated by a will for an executorship must file a petition with the probate court in the county where the decedent resided. The decedent's original will and a fee to the court must be submitted with the petition. Filing fees generally run in the $150 range. The court reviews the will to ensure its validity before granting a formal appointment. A person may also petition a court for appointment as an intestate administrator. Each state has its own requirements for who may serve as an estate's executor or administrator. Some states, like Washington, do not allow felons or corporations to administer estates. Some states prohibit or place special requirements on out-of-state executors. An executor or intestate administrator possesses all legal power necessary to transfer the decedent's property to heirs. He must pay all of the estate's taxes and debts before making transfers. Estate administration requires tasks like closing bank accounts, signing real estate deeds, transferring vehicle titles and ensuring that family heirlooms reach the proper heirs. An executor or intestate administrator also has the power to hire experts such as attorneys, real estate agents and tax accountants to assist with the estate's affairs. An appointed executor or intestate administrator has a duty to manage an estate in a fair and honest manner. She must keep heirs reasonably informed by providing them and the court with accountings of her actions. He must avoid self dealing and conflicts of interests with the estate. For example, if an executor's relatives want to buy estate property, the executor cannot use her position to get them a cheaper price. An executor also has a duty to close the estate within a reasonable time, which generally is one year. Wills have existed in some form for centuries. Their purpose is to distribute the possessions of the deceased in the way they directed, but without some form of legal backing this relies on the good faith of the people left behind. As a result, the way wills work has become subject to a stringent set of legal rules in order to honor the wishes of the will writer.